Union Home Secretary Rajiv Gauba said that Malik led-JKLF had spearheaded the separatist ideology in the Valley. 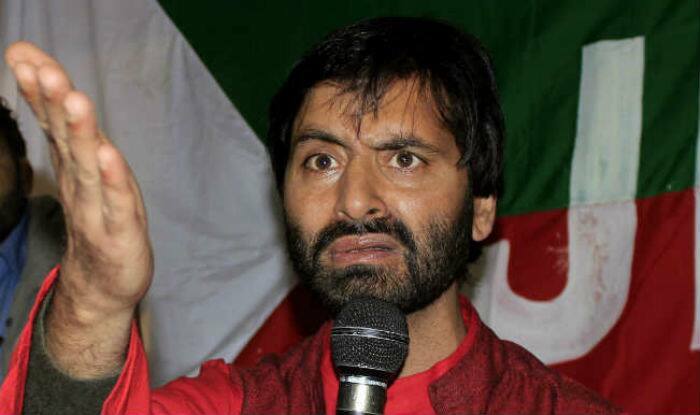 New Delhi: The Central on Friday banned Jammu Kashmir Liberation Front led by separatist leader Yasin Malik. Gauba said that the JKLF had spearheaded the separatist ideology in the Valley and it had been at the forefront of separatist activities and violence since 1988. Murders of Kashmiri Pandits allegedly by JKLF in 1989 triggered their exodus from the Valley. Malik was the mastermind behind the purging of Kashmiri Pandits from the Valley. JKLF has many serious cases registered against it. This organisation is responsible for the alleged murder of four Indian Air Force personnel and the abduction of Dr Rubaiya Sayeed (daughter of then Home Minister Mufti Mohammad Sayeed in V P Singh’s Government). It is also held responsible for illegal funnelling of funds for fomenting terrorism. JKLF is actively involved in raising of funds and its distribution to Hurriyat cadres and stone-pelters to fuel unrest in the Valley, said reports.